I liked riding your e-bike during our recent visit....it does do a great job on the rough bits currently infesting the bike path along Farmers Loop Road.....I think it'd be a fine "lifeboat" to a Ural sidecar rig. I'm thinking I may have to get one, too. RichardM, can you recommend one for a shorter person? 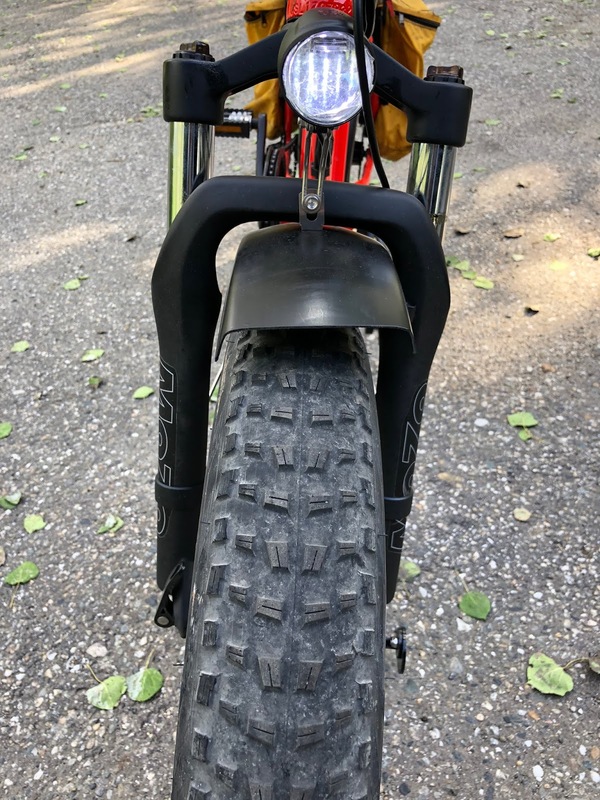 I thought the GB-1 Fat Tire may be about the right size. Or the GB-1 with regular tires. 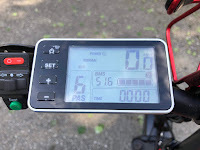 Basically the same with a 10 AH battery (slightly shorter), the same motor, LCD display, front suspension but no rear suspension so the seat is lower. Nice review, Richard. 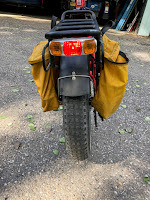 We are also thinking of getting us e-bikes of the folding kind for the VW camper. However as I prefer walking over riding we might just get one for Roland (in case someone needs to do a grocery or baker run). Wow, Richard, I knew you got an e-bike but I didn't realize it was the exact same one we got. This is a very accurate review from our experience as well. 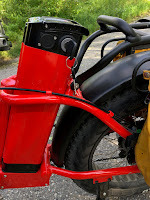 A couple comments: our handlebars are adjustable when in the upright postion (ie; not folded) so that may help. And we bought plastic coated steel cable locks by Masterlock that have customizable combination locks. They are probably 6 feet long and wrap around the seat stem and the battery when not in use. Lastly, we haven't been able to test the battery range either, the bikes just keep going and going! Really love them! I picked this one up based on your review. It seemed to have all of the features I had been looking for. Well, I am so glad you are so happy with it too! 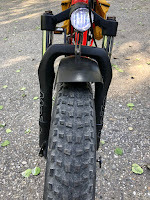 I saw Bridget's question...they fat tire ones are tall, but I think you suggested great options. Also, I forgot to mention, we picked up tiny rear-view mirrors you attach to your glasses, and they work amazingly well. It was terrifying riding without being able to see who was coming to kill you. ;-) We bought them in a bike shop, but here is a link to Amazon for them. I already have the small mirrors that attach to glasses. Actually, I’ve been using them since the late 70s (that’s a long time…) but was looking at other options such as the bar end models. Less hassle but a lot less visibility than the glasses mounted ones. Well, we hadn't ridden bikes regularly since the early 80s probably, but the bike shop owner recommended the glasses ones over the bar end for better visibility. Probably wouldn't hurt to have both!